Tahoe Fracture & Orthopedic Medical Clinic is pleased to make innovative open MRI technology available to patients in Mammoth Lakes, California, and surrounding areas. You’ve probably heard of MRIs before, but have you ever heard of an open MRI? This relatively new technology is changing the way that patients receive MRI scans. Traditional MRIs require patients to be enclosed in a long tube during the scan. Open MRIs, on the other hand, allow patients to rest on a wide, rotating table for the duration of the test. Who Can Benefit From an Open MRI? Almost everyone can benefit from using open MRI technology versus a traditional MRI machine. The rotating table makes the experience much more pleasant. But, some patients will find an open MRI to be particularly helpful. 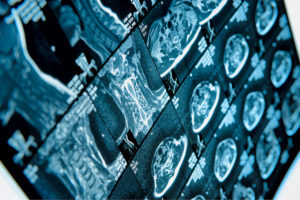 Claustrophobic patients, for example, usually prefer open MRI technology because it spares them from having to be enclosed in the traditional MRI machine. Pediatric patients, as well as their parents, also tend to prefer open MRI technology because it lets them hold onto a loved one during the scan. And, patients who have larger-than-average proportions — such as those with especially broad shoulders — often find it helpful to use open MRI machines because the narrow width of traditional MRI machines makes it difficult for them to fit inside. If you’re in the Mammoth Lakes, CA, area and think you could benefit from our open MRI technology, please call us today to schedule an appointment. And, when you call, be sure to ask about whether your MRI scan will be covered — we offer CareCredit® financing options and accept most insurance providers, as well as Medicare, Workers’ Compensation, Visa, MasterCard, American Express, Discover, and debit cards. We look forward to working with you.